There are three type of tests and officer may request. The officer may request a test of the driver’s blood, breath or urine. The driver is not allowed to consult with an attorney prior to taking this test. However, the driver is allowed an independent blood, breath or urine test upon request. The officer may not interfere with this request. The most common test is a breath test. The breath testing devices used in Nebraska are the Intoxilizyer 5000 and the Datamaster CDM. Both of these devices rely on a inferred light to assist in making the determination. The infrared light passes through a chamber and at the other end the chamber has a detector. The detector looks for the decrease in light and then multiplies its findings from a sample amount of a packet of sweet and low to an amount of a 55 gallon drum. These devices attempt to correlate blood with breath. Due to these type of errors, the machine is programed to routinely improperly inflate a driver’s breath test. As a driver is faced with serious consequences, they must seek out a person who is familiar with how the testing process works so it can be determined if the machine was working properly, if the result was improperly inflated, and if the result is reliable. Many times a driver is faced with a blood test. Once again, due to issues of how alcohol is absorbed and how the human body reacts, the test may be incorrect. The collection of the blood may be improper or contaminated, or may not be properly preserved while in transit or storage which results in unreliable results. In order insure these problems have not occurred, the driver needs an attorney familiar with these issues to protect the client from an improper conviction. Finally, a urine test may be requested. Generally, this test is requested in driving while under the influence of drug cases. This test is the most unreliable as it test a substance the body is trying to void. This information is generally hours or days old. 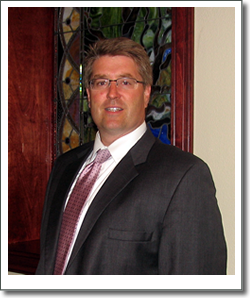 An attorney can explain these problems and show why the driver is not under the influence. 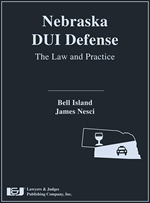 If you would like to schedule a initial consultation contact a Nebraska drunk driving / DUI / DWI attorney, representing clients in Kimball, Nebraska at the Island Law Office, PC, LLO. Give us a call at (308) 633-4040 or complete our inquiry form.